It is not unusual in corporate litigation for the outcome of a case to hinge on the discovery in court of electronically-stored information (ESI). Yet in most jurisdictions (notably among EU Member States) the withholding of such information is required by privacy laws or even laws specifically blocking the transfer of data for discovery purposes. Companies that ignore such laws may face severe sanctions. In the United States, however, discovery of ESI is often compulsory, and failure to comply can lead to contempt of court and losing the case. This book deals with the dilemma faced by multinational corporations when a United States court demands discovery of ESI that is protected in other countries. In fine detail the authors cover the full spectrum of possible responses, from evaluating the comparative cost of legal sanctions in a variety of major global jurisdictions to recognizing when to avoid litigation entirely. The tone throughout is eminently practical, specifying the precise nature and degree of risk involved and offering optimal solutions to all the conflicts likely to arise. 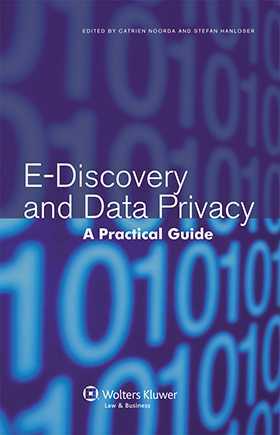 On the theoretical side, the rationales of both the US e-discovery model and data privacy laws (focusing on the European data protection directive) are clearly explained. Specific jurisdictions covered include Austria, Belgium, Bulgaria, the Czech Republic, Estonia, Finland, France, Germany, Greece, Hungary, Israel, Italy, Latvia, Liechtenstein, Lithuania, Luxembourg, Macau, Malaysia, the Netherlands, Norway, Poland, Portugal, Romania, Serbia, Singapore, Slovakia, Slovenia, Spain, Switzerland, Taiwan and United Kingdom. Given the huge growth in ESI among multinational companies over the last decade, this book answers a need that is gaining ever more prominence in international business. As such it is sure to be welcomed by litigators, in-house counsel, and corporate executives as an essential tool in this increasingly significant area of legal practice.